Everyone needs a primary account with a minimum balance of $5 to maintain your membership and access other credit union services. Maximum of 3 withdrawals per quarter. $3 withdrawal fee for additional withdrawals in the same quarter. Transfer funds from your share account to other accounts without a limit or fee by PC Branch or Automated Teller. Dividends are declared monthly by the board of directors and posted on the last day of each month. 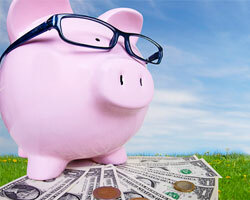 Secondary savings accounts may be opened for specific needs such as escrow for property taxes.